In preparation for a future project, I’m taking a close look at the Micro Servo 9g I bought from Ebay some time ago. So, to build the servo motor into a project, I require electrical specifications, wiring diagram, drawings with dimensions, 3D CAD model, and also test code for Arduino and Raspberry Pi. These servos are commonly found in mini camera pan and tilt mounts. Distance sensor rotation, ultrasonic and infrared. Animatronics – for example, robot facial expression manipulation and eye movements. After doing some research about the servos I purchased, it looks like these servos, that are branded TowerPro may be counterfeit. 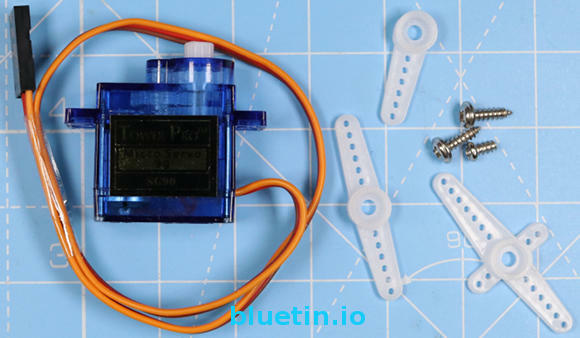 You can visit the TowerPro website to compare micro servos from other sellers. One of the differences is that a genuine servo has the TowerPro Brand embossed on top of the casing. Stall Torque: 1.2kg / 42.3oz (4.8V); 1.6 kg / 56.4oz (6.0V). For a single servo, the wires can be connected directly to the Arduino or Raspberry Pi. However, when connecting more than one servo to the controllers, you may need to create a separate 5 Volt power source to supply the servos with enough current. I don’t declare that the dimensions above are spot-on. But I’m confident that they will produce a close enough 3D model. 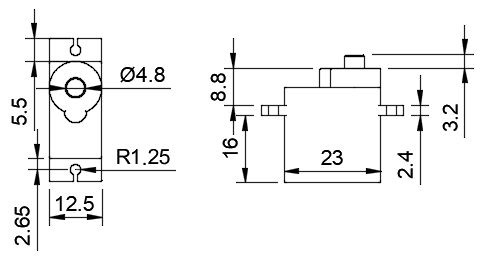 If there are any slight differences between different suppliers, you can adjust the 3D model to fit when you eventually acquire the micro servo. The servo motor is definitely a part worth saving as a 3D asset that you can use over and over again. Fusion 360 is the CAD software I am using today; which I use to build models for 3D printing. However, you do not have to own a CNC type of machine to use this software; you can visualise your project using any material type that has a dimension. Code to test a connected servo is already available through the Arduino IDE. 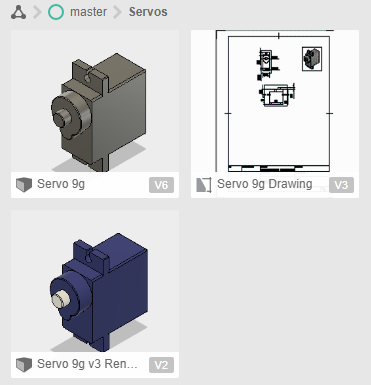 Select the sketch called Sweep from the menu File>Examples>Servo. Next, upload the code to the Arduino board. For the wiring, connect the servo yellow/orange signal wire to pin 9, then connect the red wire to 5 Volt, then black wire to ground on the Arduino. The micro servo 9g was tested on the Raspberry Pi Zero W with the Servo signal wire connected to GPIO17 (Pin 11). The red and black/brown wire of the servo was connected to 5v and ground on the Raspberry Pi. #!/usr/bin/env python3 """ servo_test.py www.bluetin.io 16/01/2018 """ __author__ = "Mark Heywood" __version__ = "0.01" __license__ = "MIT" from gpiozero import Servo from time import sleep # Adjust the pulse values to set rotation range min_pulse = 0.000544	# Library default = 1/1000 max_pulse = 0.0024	# Library default = 2/1000 # Initial servo position pos = 0 test = 0 servo = Servo(17, pos, min_pulse, max_pulse, 20/1000, None) while True: # For statement example for pos in range(0, 20): pos = pos * 0.1 - 1 servo.value = pos print(pos) sleep(0.05) for pos in range(20, -1, -1): pos = pos * 0.1 - 1 servo.value = pos print(pos) sleep(0.05) # While statement example """ while test < 20: pos = test * 0.1 - 1 servo.value = pos print(pos) test = test + 1 sleep(0.05) while test > 0: pos = test * 0.1 - 1 servo.value = pos print(pos) test = test - 1 sleep(0.05) """
The above Python code works similar to the Arduino servo sweep sketch. Furthermore, I’ve included two different loop constructs that can be tested separately. I believe the pulses, driving the servo from the Raspberry Pi, is software driven. The behaviour of the servo during control is much less smooth than when controlled by the Arduino. So, driving a servo directly from the Raspberry Pi might not work if requiring precision and steady control. Tower Pro Official website – Link. 360 Degree Mod for Servo Continuous Rotation – Guide – Link. 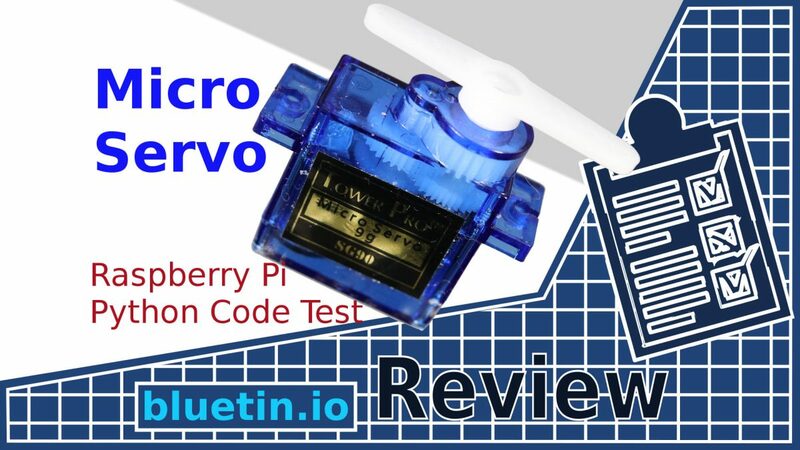 I hope you find this article useful – Micro Servo 9g – Raspberry Pi Servo Motor Python Code Test, please like and share.